In the near future, two teens are swept up in the battle for the internet. A fast-paced thriller about the consequences of the choices we make. Jonah Delacroix can't stand the real world - so he lives most of his life inside a global computer-based virtual world called the Metasphere, where everyone is represented by an avatar. When he discovers the avatar of his dead father, and assumes his online identity, he meets Samantha Kavanaugh, a deadly stranger fighting to keep the Metasphere free. Together, they race across the real world with a secret society to protect the freedom of all mankind. This is the first of a four books series that is published in paperback around the world by Hachette. 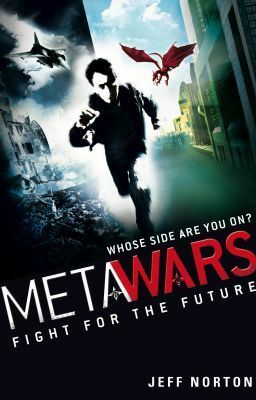 If you love fast-paced thrillers like The Hunger Games, Ready Player One, and The Maze Runner, I think you'll dig METAWARS. I'd love your comments, and if you get pulled into Jonah & Sam's adventures, please find the sequels in good bookshops or online. Oh, and don't forget to vote!